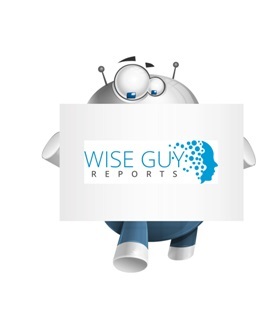 WiseGuyReports.com adds “Self-Adhesive Labels Market 2019 Global Analysis, Growth, Trends and Opportunities Research Report Forecasting 2025” reports to its database. A label is a tool to identify or decorate goods. Self-Adhesive Labels is one kind of label. They are usually used in Food & Beverages, Pharmaceuticals, Personal Care, Retailers and Supermarkets, Logistics, etc. In global market, the consumption of Self-Adhesive Labels increases from 17250 Million Sq.m. in 2012 to 21018 Million Sq.m. in 2016, at a CAGR of 4.03%. In 2016, the global Self-Adhesive Labels market is led by Europe, capturing about 32.65% of global Self-Adhesive Labels consumption. North America is the second-largest region-wise market with 23.06% global consumption share. In application, Self-Adhesive Labels downstream is wide and recently Self-Adhesive Labels has acquired increasing significance in various fields of Food & Beverages, Pharmaceuticals, Personal Care, Industrial Labels, Retailers and Supermarkets, Logistics and others. Globally, the Self-Adhesive Labels market is mainly driven by growing demand for Food & Beverages which accounts for nearly 23.29% of total downstream consumption of Self-Adhesive Labels in global. The global Self-Adhesive Labels market is valued at 36000 million US$ in 2018 is expected to reach 53600 million US$ by the end of 2025, growing at a CAGR of 5.1% during 2019-2025. This report focuses on Self-Adhesive Labels volume and value at global level, regional level and company level. From a global perspective, this report represents overall Self-Adhesive Labels market size by analyzing historical data and future prospect. Regionally, this report focuses on several key regions: North America, Europe, China and Japan.